Joy Electric is back with a covers record! Beautiful electronic/pop renditions of The Killers, Coldplay, Keane, Blink 182, Feist, and more! 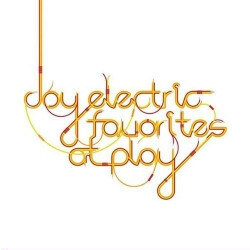 "Favorites At Play" is an great addition to the Joy Electric catalogue, an incredibly intriguing listen for fans of the original songs.